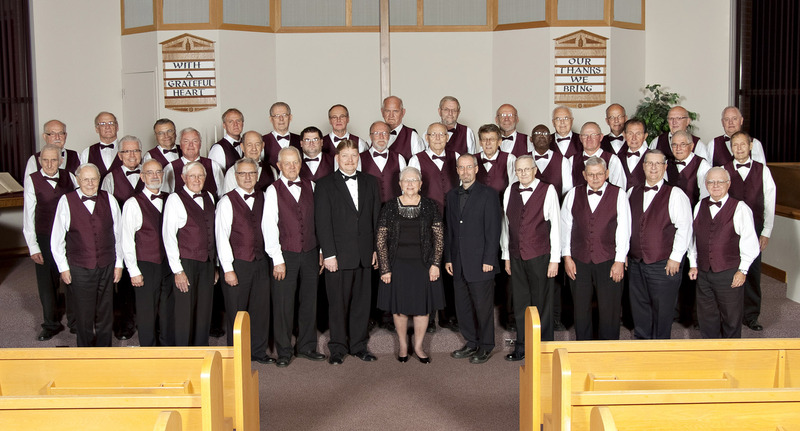 Formed in 1993, and serving the community since 1994, the Men of Praise is an interdenominational male choir based in Woodstock, Ontario, Canada and is comprised of a group of men that enjoy singing praises to God's glory as well as enjoying each others fellowship. Our members range from all over, from as far as Tillsonburg to Stratford and Cambridge/Kitchener/Waterloo to Embro. Almost all of the members are not musicians and have other vocations, but the love of our Lord and our desire to praise Him is the driving force in the choir. We love to praise our God with music, and to proclaim the message of God's love and salvation through Jesus Christ! 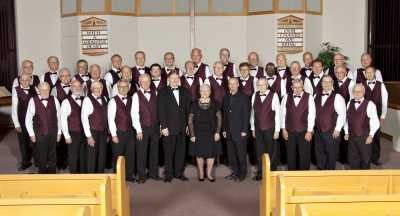 If you love choral music, want to hear good scripture-based songs, and have a blessed night out, either come out to one of our concerts (see the Schedule page) or ask us to come down to visit your community. We would be honored to praise God with you. Our weekly practices are at Emmanuel Reformed Church, 170 Clarke St. North, Woodstock every Wednesday evening at 7:30-9:30 PM. If you are in the area and would like to sit in, come on down! 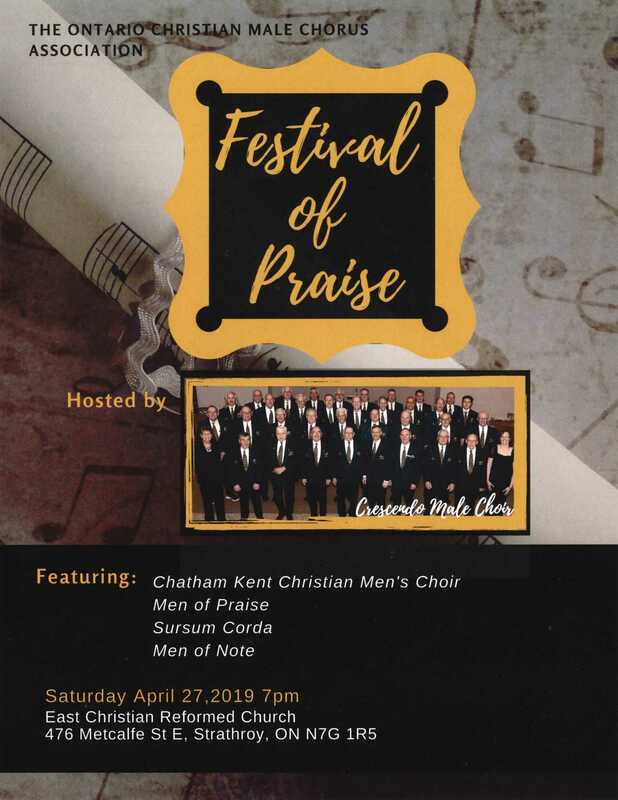 Annual Festival of Praise concert in East CRC, 476 Metcalfe St E, Strathroy, on Saturday Apr 27, 2019 at 7:00 PM. Hosted by Crescendo Male Choir.